Whether or not you see yourself choreographing in your future, you can gain a lot from studying dance composition. "Many companies ask you to generate your own content. 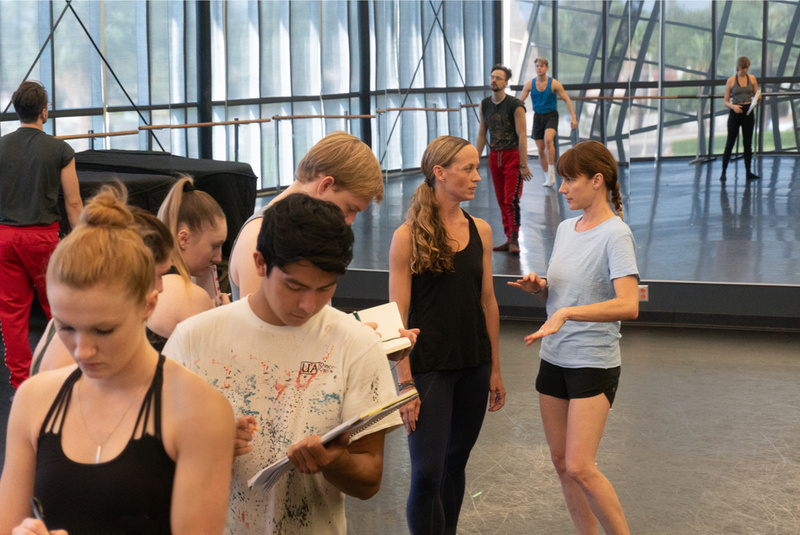 Choreography is more collaborative now," says Autumn Eckman, a faculty member at the University of Arizona. Look beyond the rehearsal studio, and you'll find even more benefits to having dancemaking skills. "Being a thinker as well as a mover is what creates a sustainable career," says Iyun Ashani Harrison, who teaches at Goucher College. "Viewing dance with a developed eye and being able to speak about what you're seeing is valuable whether you're a dancer, a choreographer, an artistic director or a curator." Succeeding in composition class often has more to do with attitude than aptitude. 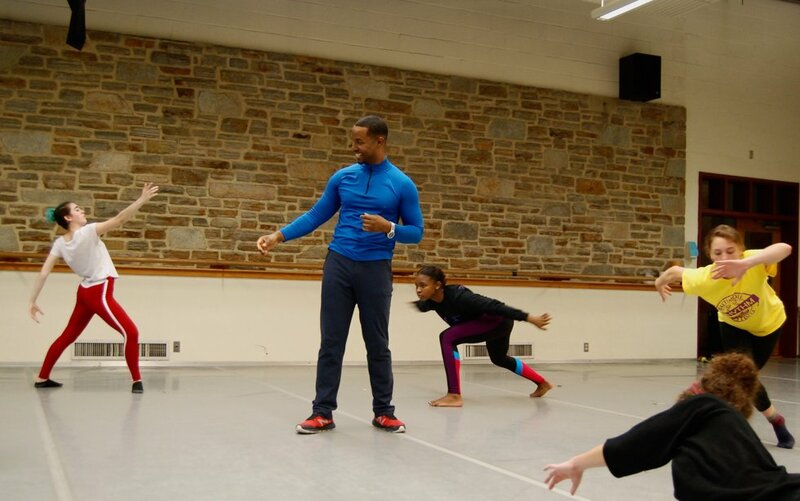 Above all, you need "a willingness to play along and explore," says Kevin Predmore, who teaches at the Ailey/Fordham BFA program. "You have to let go of the desire to create something extraordinary, and instead be curious." Beginner courses tend to focus on process over product. That means breaking down choreography into its simplest components—shape, level, space, time, energy—and creating short studies exploring each concept. Focus on the task you're given to develop that skill, rather than trying to make every assignment a complete dance. The back-to-basics approach of many first-year composition classes often means stripping away anything you might be tempted to use as a crutch. Harrison encourages dancers to learn to trust the sensations in their body rather than rely on the mirror. Tamara Dyke-Compton, a faculty member at the University of Arizona, has her beginner students work in silence. "I want the dancers to create movement that speaks for itself, rather than letting a piece of music dictate meaning," she explains. Improvisation can help when you get stuck or find yourself overthinking. "It's instinctual, which makes it a good starting point," says Predmore. "The point of improv is to create material that can be defined, refined and edited." Harrison introduces each new choreographic concept with an improv circle, throwing out verbal cues. He advises dancers to return to improv if they're feeling uninspired while making their homework phrases; they can even record their improvisations and mine them for material. "With video, you don't have to remember what you're doing as you're doing it," he says. "That can get rid of some of the anxiety involved." In order to improve, you have to be able to accept and implement criticism. Learning to give thoughtful critiques can be almost as valuable. Think of feedback time as a conversation, rather than a confrontation. For instance, "I discourage statements like 'I liked this' and 'I didn't like that,' " says Eckman. If you use more descriptive language, detailing what you saw or didn't see, you'll give the choreographer more to work with. When it's your turn in the hot seat, Harrison recommends asking questions: "If you say, 'I'm thinking about this—were you able to see it?' we can answer yes or no, and move forward from there." Be ready to reimagine your work on the spot. Dyke-Compton sometimes treats in-class showings as a lab. "I might ask the choreographer to try changing the ending, or to have one dancer do the phrase lying down instead of standing," she says. "Then we all can analyze what was different and how it impacted the viewer." 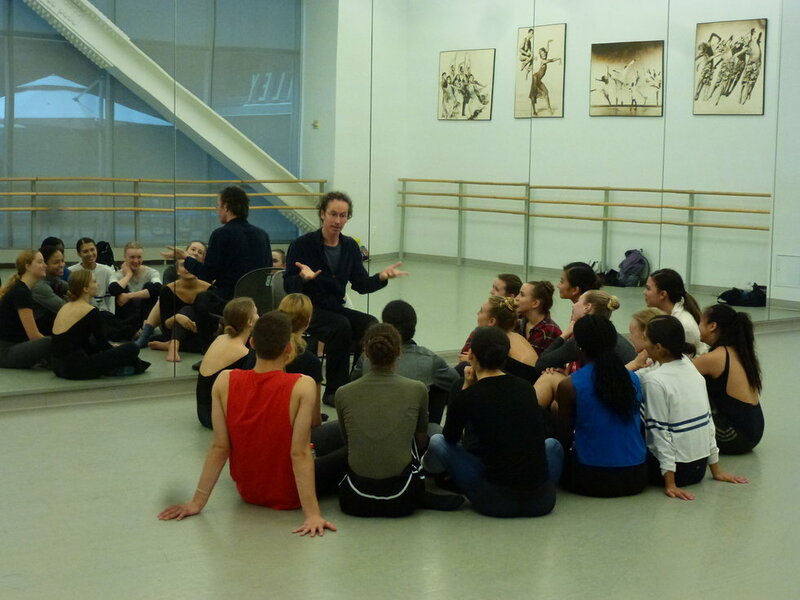 Composition class can also be an opportunity to research influential choreographers of the past and present. Some professors may have you watch a lot of dance, and respond through writing, discussion and movement. 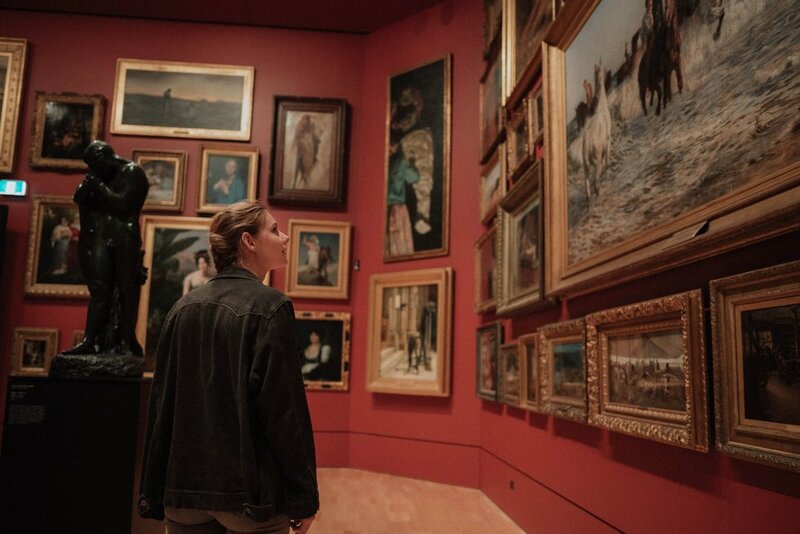 You may also be asked to engage with other types of art by listening to music, reading and going to museums. Look for elements you can borrow and adapt. For example, you might investigate how Merce Cunningham's use of chance could shake up your own choreographic process, or how your movement would evolve if you thought of it as a Monet versus a Picasso. "Gaining exposure to what has happened and is happening now in our field is a way to start thinking differently," Harrison says. "If you want to do an arabesque, how is this arabesque different from any other arabesque?" Drawing inspiration from those who've come before will help you discover your unique voice—and in the end, that's what composition class is all about.